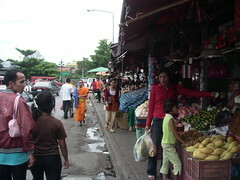 This was the edge of the local market in old Chiang Mai. The Ping river is at the end of the block. The smells and colors were completely overwhelming.